Teens and marijuana is a topic of concern in the modern day. Teens smoking marijuana have been found to experience a significant reduction in their performance at school, and then there are the effects that the substance has on the brain of a teenager that are negative as well. Here, we will discuss the abuse of marijuana and college students and teenagers in general, to help parents understand why pot is not good for their teenager, and what they can do. How Many Teens Abuse Cannabis? What Are The Dangers Of Weed Use In Adolescents? How Does Marijuana Affect Teenage Brain? Can Weed Be Used In Children For Medical Purposes? How To Spot Cannabis Use In Teens? Over the last decade, statistics on teenagers smoking marijuana slowly increased. The latest statistics on teen marijuana use announced by the National Institute on Drug Abuse for Teens report as much as 13.5% of 8th graders have tried marijuana before, with approximately 0.8% of 8th graders using marijuana on a daily basis. The statistics tend to increase significantly among 10th and 12th graders. At the age of grade 12, about 45% of teens have experimented with marijuana at least once in their lifetime. About 22.9% of 12th graders reported using marijuana on a monthly basis, with 5.9% of the 12th graders being daily marijuana smokers. Those wondering how long does marijuana last in teens – blood levels of the THC content in weed tend to spike at 30 minutes, and quickly starts to decline after this spike, with levels becoming very low after approximately two hours. The fact that cannabis is a natural plant makes a lot of teenagers who dab marijuana think it is a safe drug to smoke, yet studies have revealed marijuana for kids can be exceptionally harmful, and teens are especially prone to experience adverse effects when they turn toward experimenting with this plant. It is important to realize there are many other illicit drugs that are also made from plant-based materials, yet poses significant threats to the health of the user. An important factor that needs to be understood when it comes to discussing the marijuana teenage brain effects is the fact that the substance tends to cause dependence. There have been many reports claimed pot is not, yet several studies have documented signs of addiction and dependence among frequent users. The use of marijuana may lead to compulsive behavior, as well as cause an adolescent to experience withdrawal symptoms when they are not able to get their hands on the plant. The same study also reports recent statistics showed as much as 3% of the American population might already be experiencing signs of dependence on weed. The same publication also states a teenager is up to four times at a higher risk when exposed to marijuana to develop a dependency on the drug, compared to being exposed to the substance for the first time as an adult. A paper by the VA San Diego Healthcare System explains a dependency on weed can also make a teenager more likely to experience many adverse impacts on their life in general, as well as complications in their future. In particular, the paper explains that teens are likely to experience reduced performance in school, with lower grades than before, if they start to utilize the substance. It has also been found that the combination of marijuana and teenagers causes an increased risk of school dropouts, and makes it more likely for the teen to struggle with unemployment later in life. Some studies have also noted teens who abuse pot are more likely to want to start experimenting with stronger drugs and other types of drugs. This, in turn, can make a person go from smoking a joint now-and-then toward becoming a drug addict that uses cocaine, heroin, and other classes of harmful substances that may cause their bodies and brain psychological and physiological trauma. Those who might be asking does marijuana stunt growth – some publications have suggested that it could. Pot can have many negative effects on the brain as well, making marijuana and the teenage brain another important topic to cover. Different marijuana types may also exhibit various effects, as the level of cannabinoids in them tend to vary. Understanding what does weed do to your brain is thus important. Pot causes stimulation to occur in the release of mesolimbic dopamine. This is a neurotransmitter involved in several processes of the brain – and scientific studies have found dopamine has quite a significant impact on the addiction centers of the brain. Thus, this provides clear evidence of the addiction potential of marijuana – since there are physiological actions that occur when the drug is used. Another important fact to consider in terms of marijuana use among teenagers and the effects the substance can have on their brain is that these individuals have a much greater risk to develop certain mental disorders later in their lives. Particularly, pot during adolescence has been associated with a higher likeliness of developing anxiety disorders and becoming depressed later on. These are mental health conditions that have adverse effects on the brain and can have a dramatic impact on the individual’s life. Medical marijuana for kids has become an interesting topic. Evidence on the effects of marijuana on children is mixed, which often leads to confused parents. Due to numerous studies providing evidence that marijuana plants have certain medicinal properties, several states have already legalized the drug for medicinal purposes. The legality of the substance differs from location to location. Marijuana schedule 1 is often appointed to the chemical, but some states have looser scheduling systems in place for medicinal uses of the substance. A prescription is required for marijuana medical uses. Even though many think that medical marijuana for children is widely used, it should be noted that people often get confused with CBD products and weed. The drug is now sometimes prescribed to adult and teenage patients with glaucoma, generalized pain, multiple sclerosis, cachexia, and epilepsy. It has also been proven useful in the treatment of conditions like vomiting and nausea. Since the legalization of medicinal pot, the prescription use of pot among teenagers have increased, and studies have also discovered some teens have not diverted users, where they take advantage of a prescription obtained by their peers. 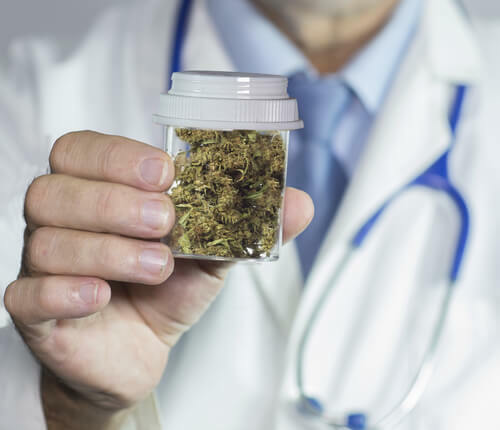 Up to 66.7% of teens have been relying on their own prescriptions to obtain medicinal weed, while up to 57.7% of the respondent groups had used marijuana that was prescribed to someone else during the same year. The study did find those male adolescents are more likely to use prescription cannabis, as well as be a divert user. Male participants in the study were also more likely to use weed without obtaining it from a legal source, such as through a prescription from a licensed physician. Parents need to understand how they can recognize the signs that their teenager uses cannabis from an early age. When the signs are identified early on, it may be easier for them to help their child overcome a possible dependency that they might be developing. This can also help to reduce the risk of the adolescent developing mental disorders like depression and anxiety in their future. Luckily, there are physical signs, as well as behavioral changes, that may signal the use of marijuana in teens. The teen may start to experience a sudden reduction in their grades at school. They might even be skipping and failing classes that they usually enjoyed before due to the teenage pot use. The child may suddenly be hanging out with a new group of friends. Many parents find that their teenager would have a “special” way of communicating with these friends. Significant changes to appetite, such as suddenly starting to get the “munchies” or not being hungry at all. The teen may not seem motivated to participate in sports, to do their homework, or to participate in activities that they used to enjoy doing all the time before the kid started using weed. Parents should also notice sudden changes in their teenager’s memory. When they suddenly start to forget the simplest things, then it might also be a sign of marijuana use in teenagers. The teen may act in a giggly or silly way when high. Adolescents are constantly asking for money, but never having anything to show for the money they asked (such as something they bought), should also be investigated, as it might be a sign that they are using the money to buy pot. Parents should know the answer to how much does marijuana cost can be surprisingly high. Parents should also look out for marijuana paraphernalia, which describes suspicious objects where the teen may be hiding their supplies in. When a teen is found to be using cannabis for recreational purposes, then appropriate action needs to be taken. A rehab for substance abuse can be accessed in cases where help from the outside may be required. The teenager can undergo chemical dependency treatment at such a facility to ensure they recover and start to live a sober lifestyle. With up to 45% of teenagers experimenting with marijuana by the time they reach grade 12, parents are advised to recognize the signs of dabbing weed and other forms of cannabis use among their kids. When these signs are noted, a rehab for substance abuse may be sought out in order to provide adequate treatment for the teen to help them recover. Rehabs can assist in overcoming weed withdrawal symptoms and ensure the adolescent can effectively reach sobriety. Parents who suspect their teen might be using pot can get in touch with our hotline for help, support, and appropriate referrals, by calling (888) 459-5511.